So you’ve decided to go and build a deck. Congratulations, the easy part is over. Now the real challenge comes in all of the many…many…things you need to consider before you build a deck. First and foremost is the money to do it. That means you need to put together a smart budget for creating the deck you really want and realizing whether or not you can afford to mount this project. You probably have a general sense of how much you have to spend and if those resources are going to be sufficient enough to cover everything. So when it comes to the financial aspect of this thing (and really, it’s the most important factor as the rest of this article is going to be mostly irrelevant without the financing), you need to think about many various facets of this deck you have in mind. For starters, how big do you envision this deck once it’s complete? The size of your new deck will obviously play a major role in how much it’s going to cost you. Along with that, how complicated or simple do you want this deck to appear? Do you plan on adding features like railings, built-in seating and flowerboxes, or is this going to be a pretty basic deck that you’ll furnish later on? Your choice of materials is also going to increase or decrease the costs associated with this project. But we’ll get to that in a minute. Finally, are you planning on hiring a professional contractor such as richmond custom sunrooms to build the deck for you or are you thinking about doing this one yourself? Decks are among the most popular DIY projects initiated by homeowners because they can be easy to build (with the right amount of preparation and skills, of course). But whichever way you plan to go as to who will be performing the work, you want to be sure you have enough in the bank to handle every cost, both planned and unexpected, that will go into creating the deck you’ve been dreaming of. So now that you’ve got the money component figured out, here are the next items on your list that will need your attention before you can proceed further with this home improvement project. Hopefully you already know where you want to build your deck, but just in case you don’t you’ll probably need to start thinking about that soon. Depending on the size and layout of your property, chances are you only have a couple of options. But considering an instance where you have carte blanche to build at will, you will want to consider placing your deck in a location that faces the southeast or the southwest so you can enjoy the sun for as long as possible. But the sun isn’t the only consideration to keep in mind, think about the best views surrounding your home. 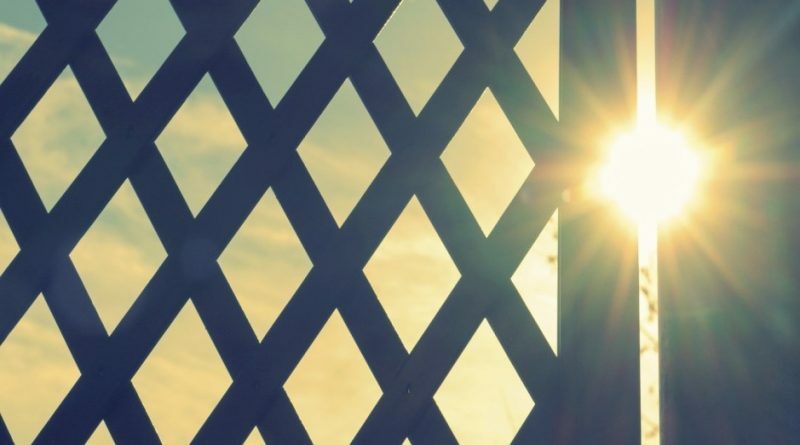 If you are looking upon a rather impressive vista from one side of the property versus looking at rows of trees or even the homes of your neighbors nearby, then it may not matter to you how much sun shines down on your new deck throughout the day. One last thing, there is nothing written anywhere that dictates your deck be attached to your home. Plenty of homeowners have beautiful detached decks on their property. Probably just as important as where you are planning to put the deck are the materials you intend to use to actually build the thing. The materials selection process can be a challenge because while you want to deliver your deck on a budget, you don’t really want to skimp when it comes to finding the right materials that will last. Most homeowners attempt to walk that line between something that looks great and costs less. But you know what they say, you get what you pay for, and so if you opt for the building materials that will save you a few bucks, you could end up paying more down the line on repairs and replacement costs. So let’s consider the options you have, luckily there are many from which to choose. 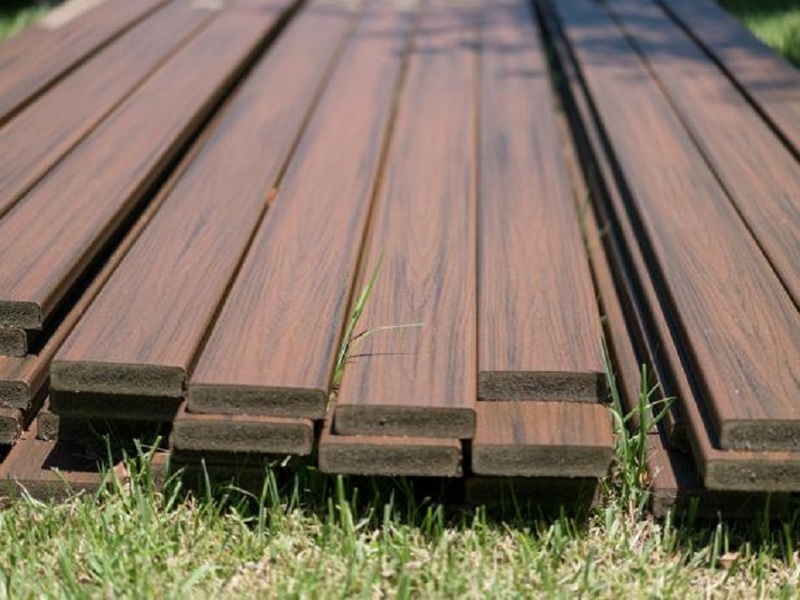 The popular choice is decking materials made from wood. There are plenty out there, pine, spruce, cedar, oak, ash, mahogany, and blends that incorporate a combination of different species mixed with a plastic resin. All of these materials offer durability and varied maintenance needs to keep them looking and performing their best. The thing with wood, however, is that it can get costly. Some wood options are significantly more expensive than others. You can go with a lower cost wood product but you’ll need to keep in mind that budget conscious should also mean maintenance conscious. The less expensive woods options need some kind of annual upkeep to ensure they remain in peak condition. For those who may not want to go with wood, there are other materials to use like concrete or brick. But these may not provide you with the ability to create the dream deck you have in mind, while some homeowners may prefer something that looks a little different. Don’t forget about the screws and nails either. Here is where you can really make the wrong choice and be forced to face that mistake on a daily basis. Seek out screws and nails that are made from high-grade materials like stainless steel that won’t rust or corrode and discolor the deck over time. That can negatively impact the life of your deck and possibly even threaten the structural integrity. Your deck is probably going to positioned off the ground, whether it’s a few inches or a few feet up. In any case you are going to want to add some kind of protective barrier to prevent anyone from falling off of the deck by mistake. This is mandatory for homes with small children. Railings can be built or you can buy them prefabricated and add them to the deck later. 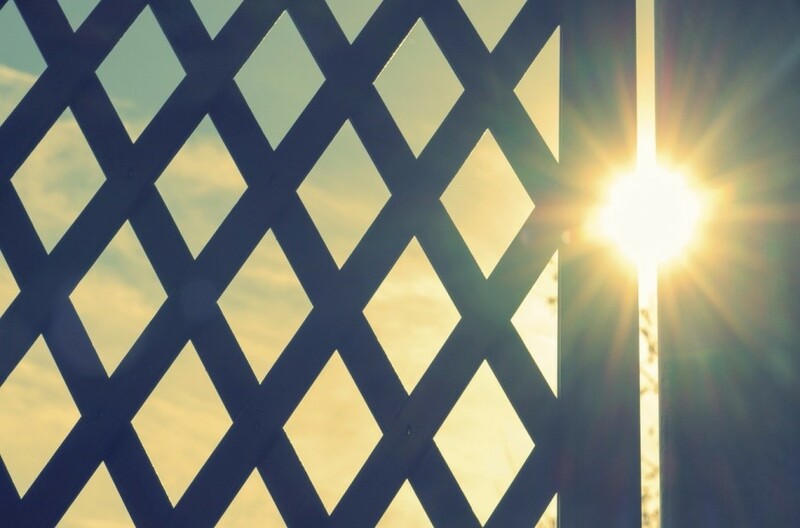 As for fencing, you can decide how much privacy you want for your deck so you won’t need to worry about the prying eyes of neighbors or passersby. ← What’s The Scoop On Green Carpet Cleaning?